I do not see a TMA Rep listed for Virginia. Is there one? 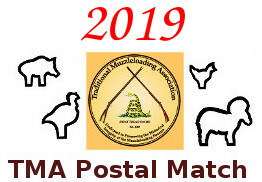 TMA Member: Member # 757 Expires 7/25/2020, Member & State Representative. Will hopefully chime in soon with more details! State Representatives has been a work in progress for a very long time. You are right, There is no State Representative in Virginia at this time. The reason being is that working folks seem to move around a lot in today's society, quite often from State to State. Also, five years after they have signed up as a State Rep., they suddenly find they no longer have the spare time to participate in Rendezvous, Monthly Shoots, Trail Walks, Living History, whatever their field of interest was in the past, life has suddenly become too demanding for them to participate any longer. Today, we offer ever Sponsoring Member of the TMA the opportunity to become a State Representative. If you are interested in becoming the State Rep for the State of Virginia, please send me a PM (Personal Message) the TMA will do everything we can to help you in this endeavor. You may check here for something in your neighborhood, as I found very little on the Internet regarding Virginia State Muzzleloaders. Thank you for visiting the TMA. Pour yourself a cup of Jo and enjoy your reading. Contact me when and if you feel the need. Thanks for the replies. Really appreciate the info. I am not actively seeking more responsibilities at the moment but is there enough muzzleloader members in TMA here in Virginia that a State Rep would be helpful? Another question is what are the expectations/job description of a state rep? Again thanks for the help. Look forward to hearing from you. Watch your six. Sir, Your Membership Packet will be on its way shortly along with more information on the State Reps. I would like to personally thank you for becoming a Supporting / Contributing Member. It is through the efforts of great folks like yourself that we are able to do the things we do while trying hard to remain the one truly "Traditional" Muzzleloading Organization to remain left standing. Thank you, from all of us and a great big welcome aboard! I've just spent last hour and a half on the forum...and I am just getting started. I feel like ol' Ber Rabbit gettin' thrown in the Briar Patch. Thanks for starting TMA. I've come home to a place I've never been. Let me know what I can do to help. On behalf of all those involved in the start-up of the TMA.......Thank you, Sir!